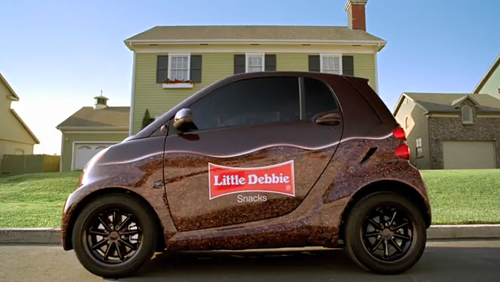 I just saw the Little Debbie commercial with the Smart Cars. They even have the frosting swirls across the top. 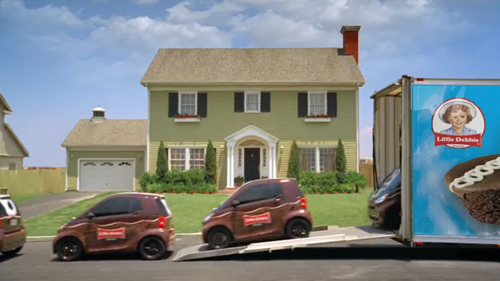 I am trying to talk Aaron into painting his Smart Car like a giant snack cake too. 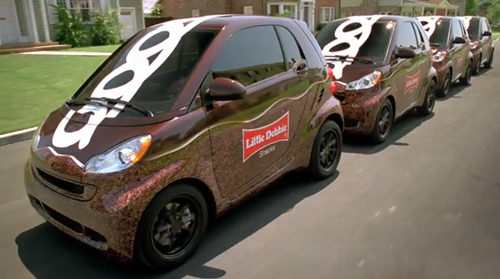 Cute cars, and a good idea for Aaron's. 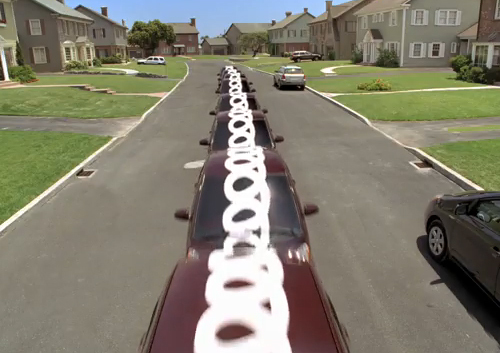 What gets me about the commercial, though, is the creepiness of the suburban neighborhood background. Ack!